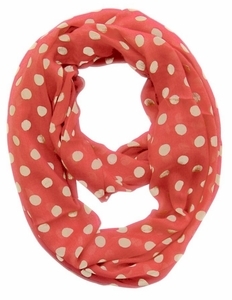 Adorable polka dot print lightweight infinity loop scarf. These bright and colorful scarves will match any outfit. The perfect accessory for any occasion or season throughout the year. Product Dimensions: 36" X 30"